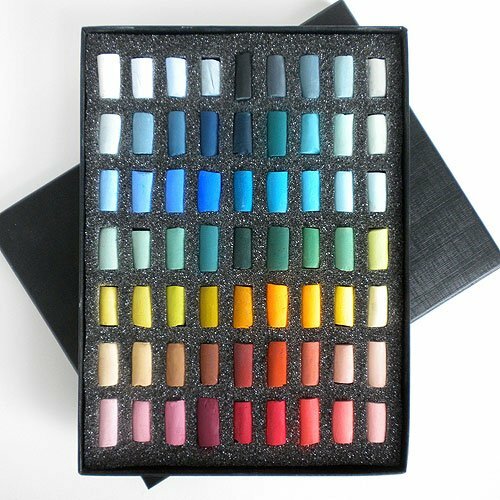 Handmade soft pastels that is second to none. In their subtlety and intensity of color, their fluency and responsiveness to touch and in their delicacy and robustness, unison color soft pastels aspire to perfection. Unison began in the early 1980s,When artist john heresy found that mass produced; factory made pastels simply did not offer the qualities he was looking for. He began an inquiry, to see whether, with the pigments available, he could construct some kind of mirror to the magic of color. Unison color soft pastels are the result. These sets are made in half sticks for a greater variety of colors at a lower cost.